“Move just one-degree-more habit. 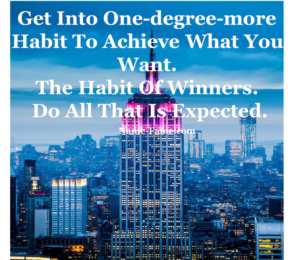 The habit of winners. Do all that is projected. And then a slight little extra.” Of course, everyone knows about the steam train.